The PECB Insights Magazine provides you with the latest developments in a wide range of industries through complete and deep analysis in respect to global business developments. PECB has developed the new Management Systems Catalogue to help you choose the right certification which brings value and demonstrates your commitment and professionalism towards continuous improvement of your organization. 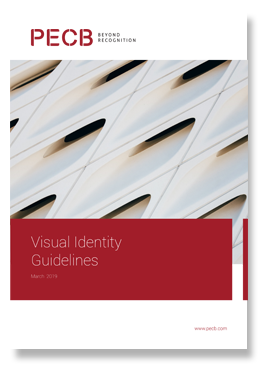 PECB Brand Book is a tool to help guide and strengthen the body of visual communications that will build PECB into a highly recognized and respected brand. Interested in bringing value to your Management System Certificate? 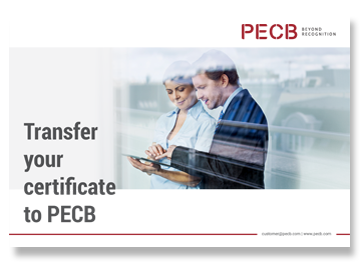 Boost your performance and be part of internationally recognized organizations by following these easy steps to transfer your certificate to PECB. 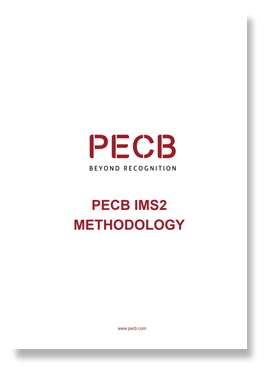 Learn about the benefits of using the PECB IMS 2 methodology when implementing a Management System. 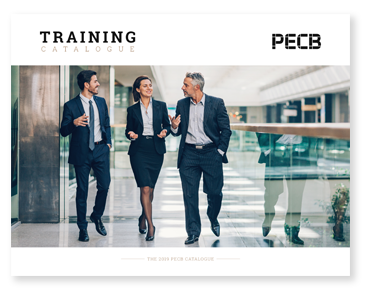 The PECB Training Catalogue 2019 encapsulates all training courses offered by PECB. Inside the catalogue you can find the details and specifics for every course. 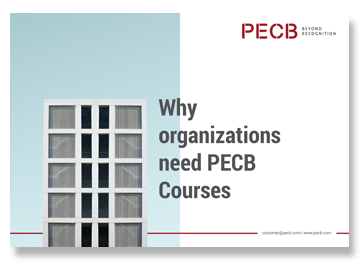 For 2019, PECB offers a vast array of courses, some of which are brand new and one-of-a-kind courses in Cybersecurity, IT, Computer Forensics, Auditing, Sustainability and more. We invite you to take a look into the catalogue for more information. 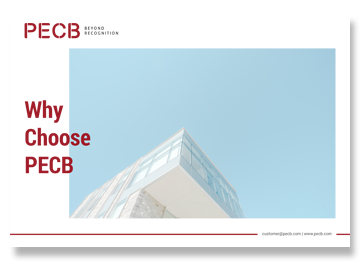 Find out which are the values that you'll earn when you choose PECB as your partner in your professional career and your organization's success. No matter what size or scale your business is, PECB Certified Training and Certification schemes are here to make your life easier, help you increase your business’s revenue and enhance customer satisfaction.